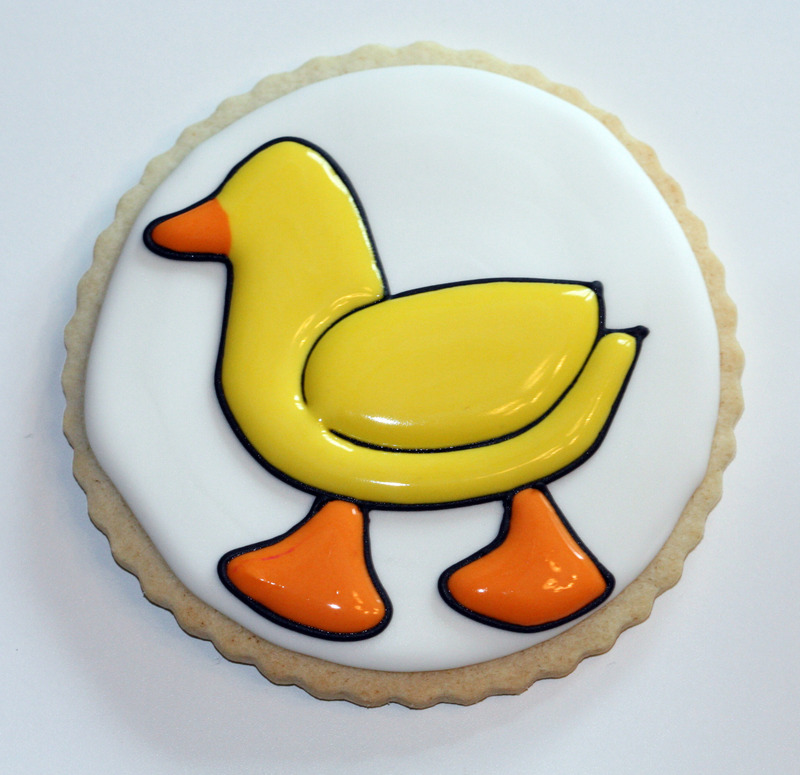 I’ll admit it; I’m no artist when it comes to drawing images on cookies. I’m sure I could learn how to improve my drawing skills, but to be perfectly honest it’s not what I want to spend my time doing. 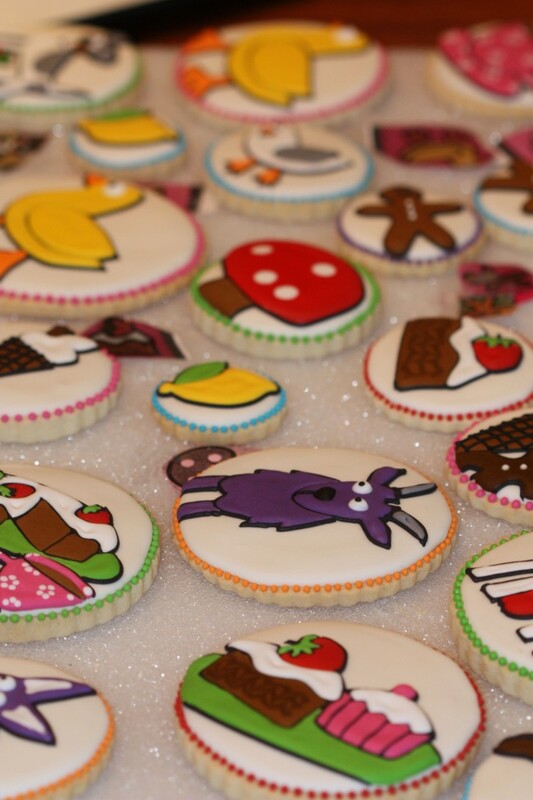 I love being able to create icing art, and I love being able to create it relatively quickly. It is for this reason and others that the Kopykake drawing projector has been so invaluable to me – I can easily create sugar art without being able to draw images freehand. If you are somewhat ‘drawing-challenged’ shall we say, or if you’d like to speed up your cake or cookie decorating process, you’ll probably enjoy the Kopykake projector. You should know that I’m not sponsored by Kopykake in any way but do have affiliate links to Amazon and Ultimate Baker, although Amazon is sold out of the models I’ll be reviewing. I sincerely enjoy the projector and have had many questions regarding using it so am sharing my experience and answers here. 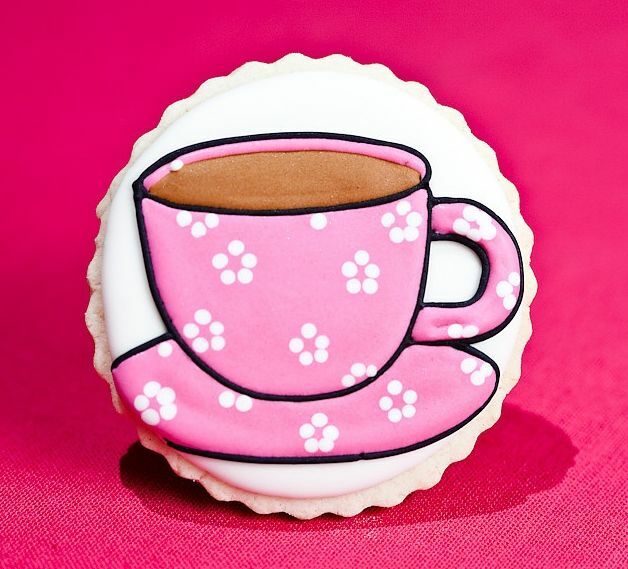 A big thank you to Rowell Photography for taking the cookie pics with the pink background. I stumbled on their site and got lost in their gorgeous photos. – Erika and Ryan know how to take awesome pics! Check out their site here. I’ll begin with some questions, move on to a tutorial and finish off with more questions. What is a Kopykake projector? The Kopykake projects an image downwards, sideways etc. 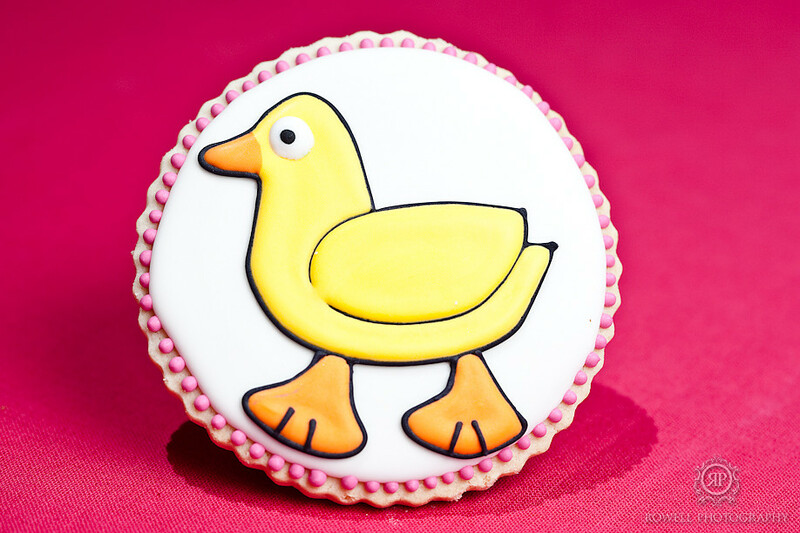 so that cakes, cookies or any item can be easily traced onto. It is unique in that the light isn’t underneath the baked goods, but hangs above so as not to melt the icing etc. Why use a Kopykake projector? It is an invaluable tool for those who need help with drawing skills, and for those who may be able to draw freehand but would like to do if faster. 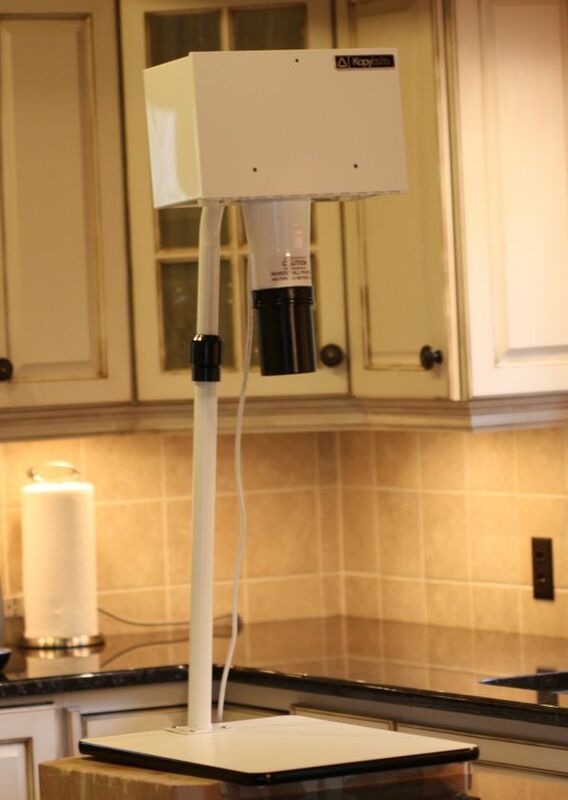 Who would benefit from using a Kopykake projector? Having the projector won’t improve your piping, but will certainly improve your drawing capabilities. 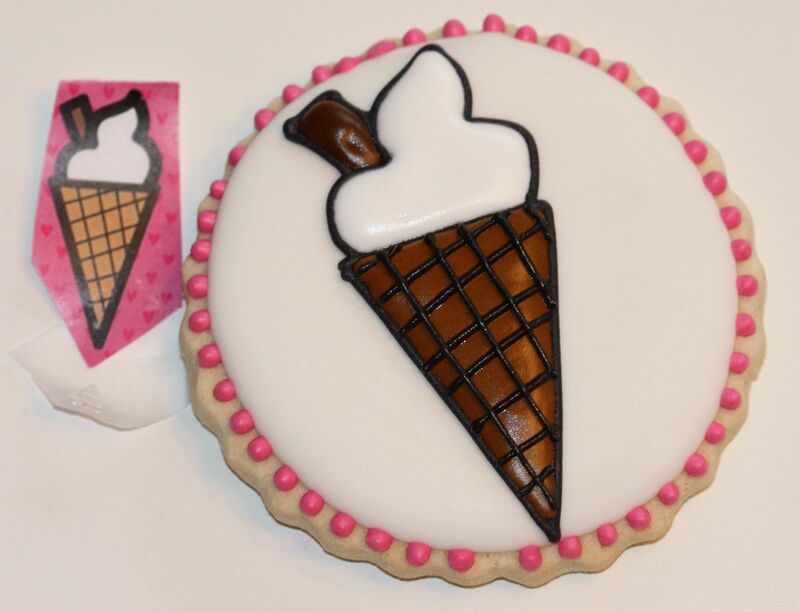 One of my best tips for improving piping would be to let your icing fall onto the cookie. This is demonstrated in the upcoming slide show. Is it easy to set up, where do you store it and can it be dismantled? It’s obvious, the Kopykake is not a pretty tool; in fact, as a ‘cookie’ friend, Catherine once mentioned, it looks like it belongs in a Star Wars movie! It is easy to set up but I wouldn’t recommend dismantling it; too much of a pain and too much wear and tear in my opinion. I store it exactly as is. The Kopykake can be moved around and transported – it is sturdy. How do you like the Kopykake with a baseboard instead of the table clamp? Do you feel it restricts you to working next to a wall so that it does not tip over and fall? Not at all. It is solid and does not tip over. I use the baseboard rather than the table clamp because I like to move the projector around if I need to while I’m decorating. The projector is quite large (38″ high, baseboard is 20″ by 14″ wide/97cm high by 51cm by 36cm wide), so I put it away in another room when it’s not in use. 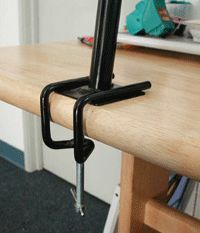 The table clamp is great if you’d like to project onto a larger surface area than the size of the baseboard, for example onto your desk. Most baked goods aren’t large enough to need a desk surface area though. There are more questions to come, but for those unfamiliar with the Kopykake projector, the questions will make more sense after the tutorial. 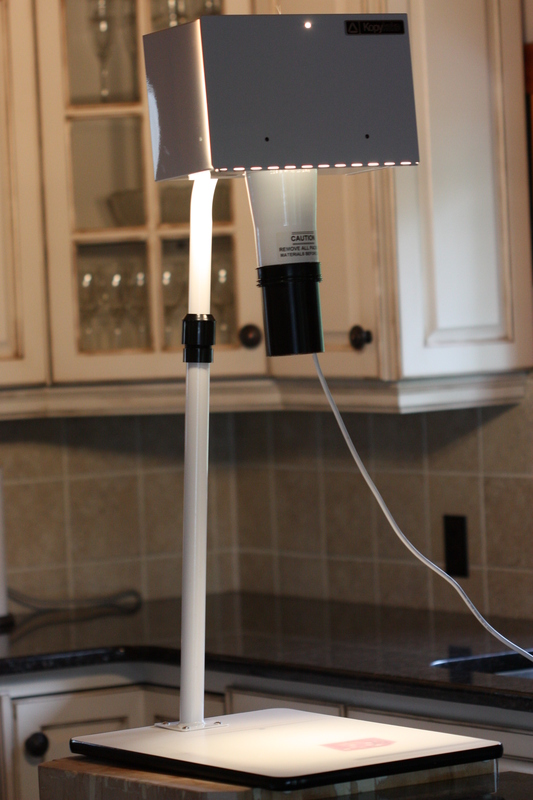 This tutorial refers to the Kopykake K1000-G model. I will compare the Kopykake 300XK and the K1000-G at the end of this tutorial. There are some slight differences between the two projectors which I will briefly review, however both projectors operate similarly. Flip open the top box of the Kopykake projector and attach your image using clear tape. You could also use the rotating clamps provided to hold the image down. I find that the clamps get hot very quickly and can be awkward depending on the size of the image though. 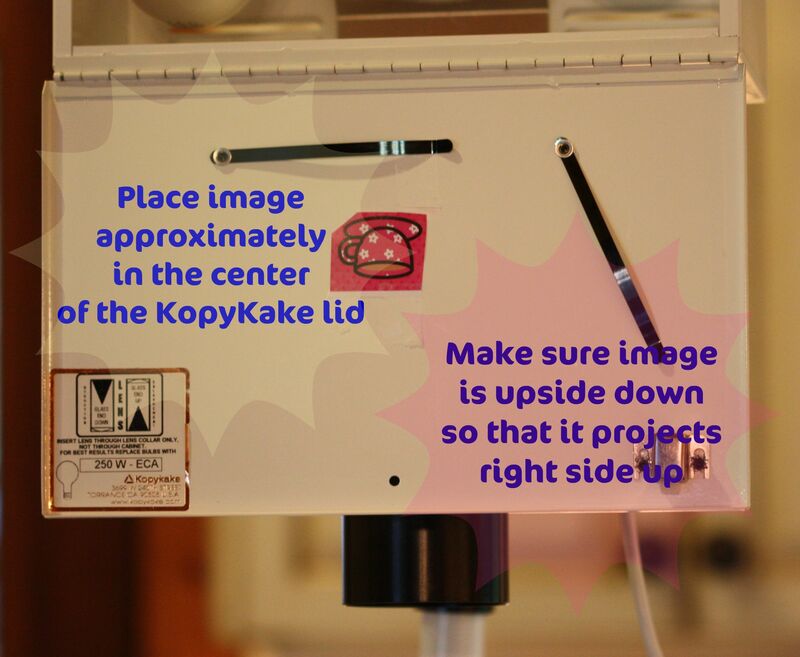 Make sure the image is fastened upside down so that it projects ‘right side up’ and is also placed in the middle of the Kopykake lid. Close lid and turn on projector (power button on side of projector box). In order to see the image better, it can help to turn the lights off for this model. The K1000 doesn’t require you to turn out lights though as it has 500 watts of illumination. I’m jumping a bit ahead with this picture, but here this finished cookie. (Missing steps coming up). 3. Royal Icing Base or Not? 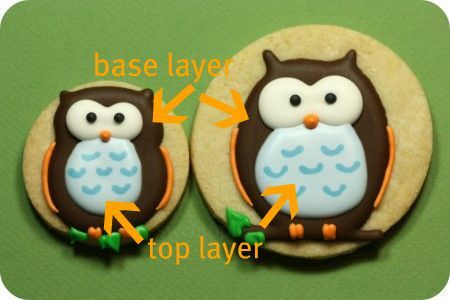 Assuming you already have your cookies baked (click here for sugar cookie recipe if you need one), and icing made (click here for royal icing recipe), you’ll need to decide whether or not you’d like a base of icing or if you’d like to pipe right onto your cookie. Avoid piping a very dark base such as black royal icing as it would then be difficult to see the projected lines. It is fine, however, to pipe on a darker base than just white; projecting onto a brown gingerbread cookie, for example, works well. 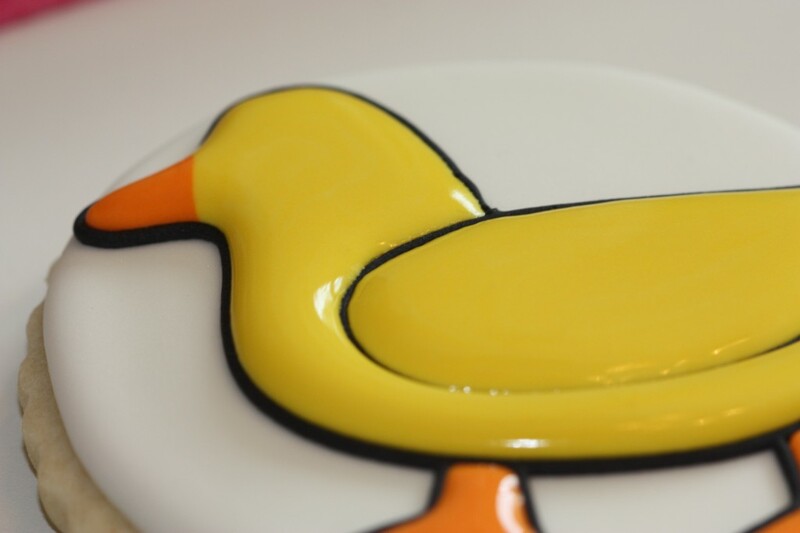 If you decide you’d like a base of icing, you’ll need to pipe that and let it dry for a minimum of 6-12 hours. 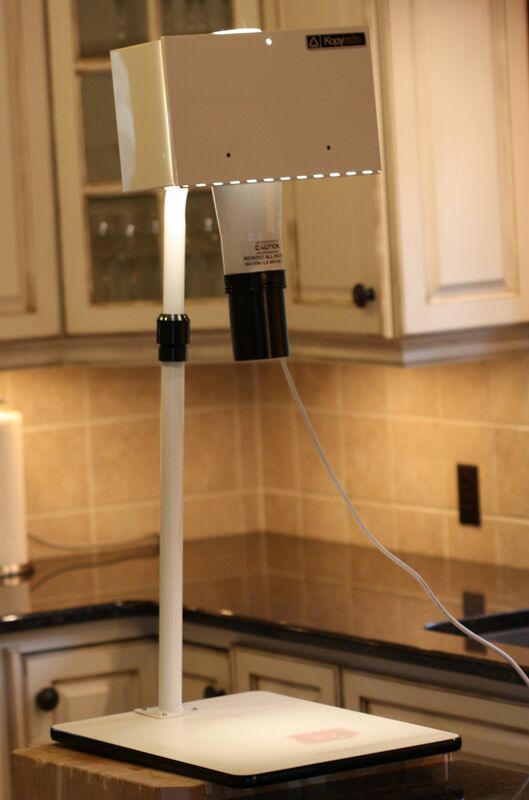 The more humidity there is in your environment, the longer you’ll need to let it dry. 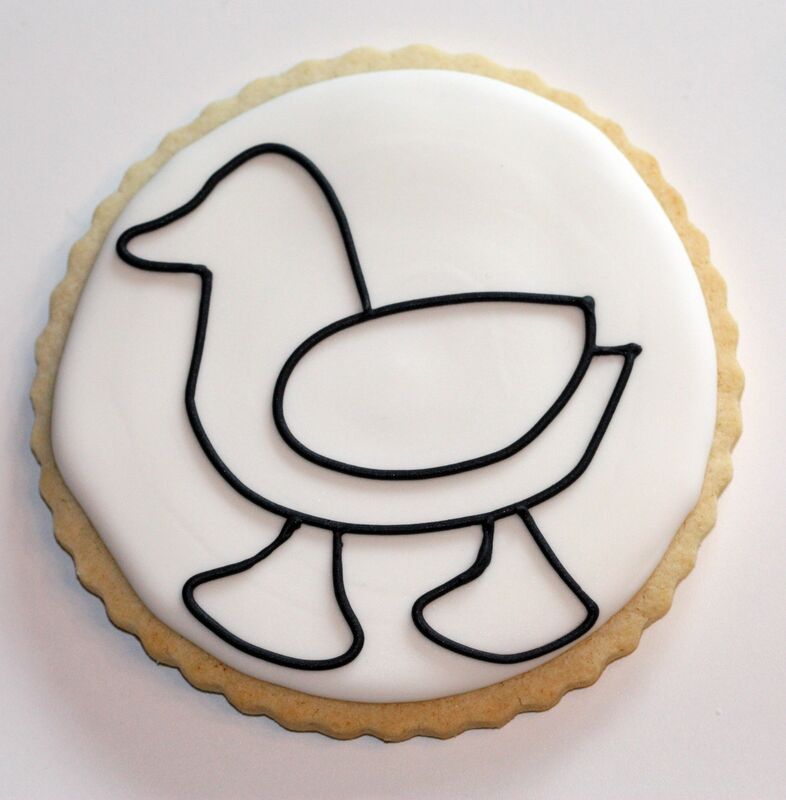 Trace the outline of the image onto your cookie. My preferred piping tip size (and the one I’m using here), is # 2 . If you need to pipe very fine details tip # 1 or even # 00 work well. If you’re using a fine tip like the #00 though, you might want to check out these ‘piping clogging’ hints. I usually sit somewhat to the left of the cookie as I’m right-handed, which means my piping tip/hand ends up directly in front of the cookie, and I usually pipe beginning on the left side of the image. I’m sure if you’re left-handed you could do the opposite or just find what is comfortable for you. One of my favorite tips for improving your piping is to let the icing just fall into place by guiding it. About a centimetre (about a quarter inch), after you’ve begun your outline, start lifting the piping bag away from the cookie, so that the icing just falls onto the cookie. Start coming back closer to the cookie when approaching another corner. If the cookie is more intricate, or has more corners, you may not be able to just let the icing fall as there won’t really be room to. Also start to apply less pressure as you approach the corners. The consistency of the icing is also key for me. I often use the same batch of icing to outline and fill in my cookies. For a detailed explanation of the 10 second rule for icing thickness and more cookie decorating tips please check out Cookie Decorating Tutorial or my Top 10 Tips for a quick overview. 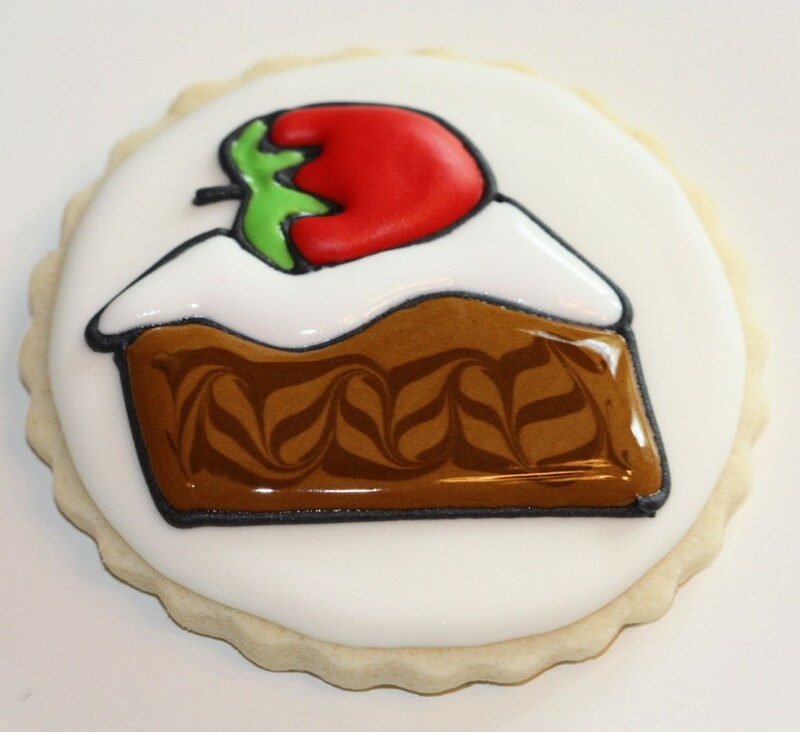 (Update: You can find a video on royal icing consistency here). 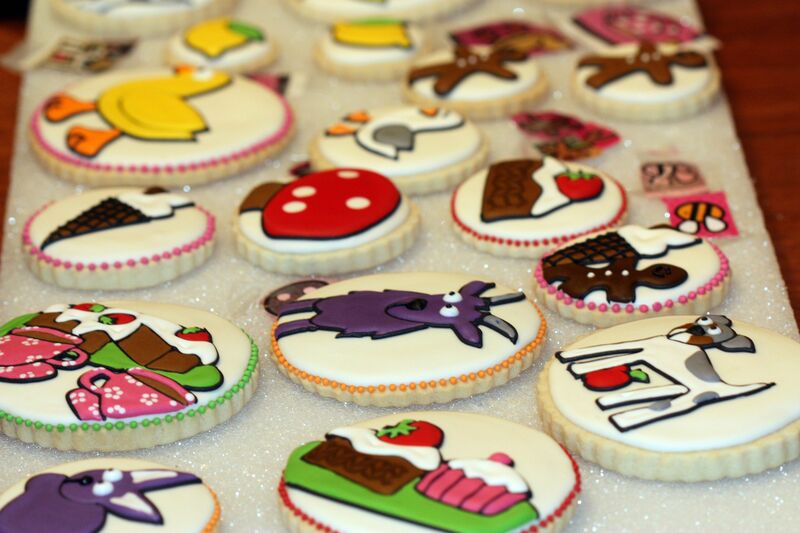 Fill in or flood your cookie once the outline has dried and let that layer dry for a minimum of 6-12 hours. If you don’t like the look of a distinct outline, you could just pipe/trace the shape and fill in with the same color icing right away. 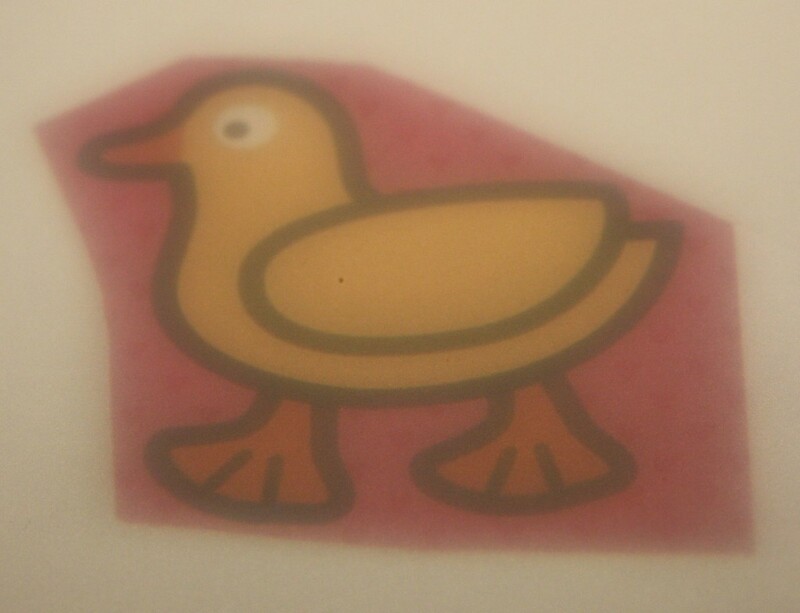 For example, for my yellow duck I could have outlined him in a yellow icing and filled in the outline with yellow right away. Again, for more decorating tips, please see my Cookie Decorating Tutorial. Add finishing details such as eyes etc. once the flooded base has dried. Below are some more cookie images from this batch as well as answers to your questions on this Kopykake and other Kopykake projectors. 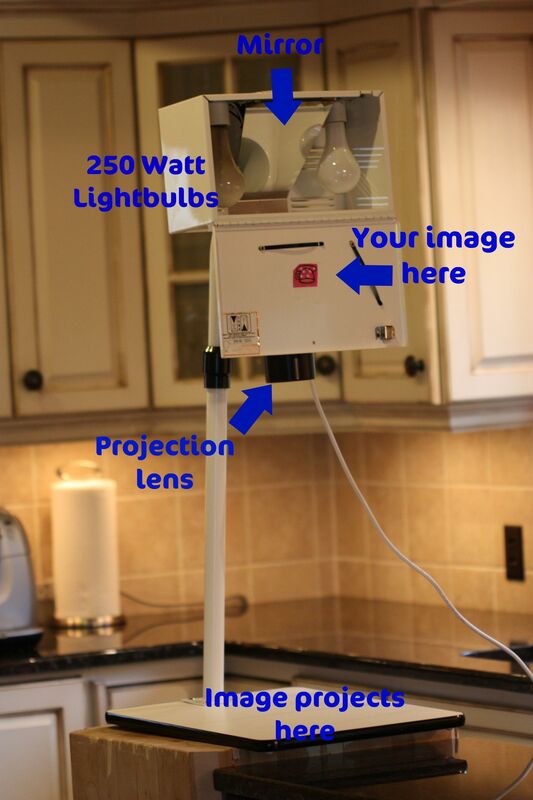 As long as you can project the image, you can use it in this projector. That means photographs, coloring book images, stickers, printed images of any kind. For this tutorial I photocopied images from the book, Treasure Hunt for Girls by Priddy books. 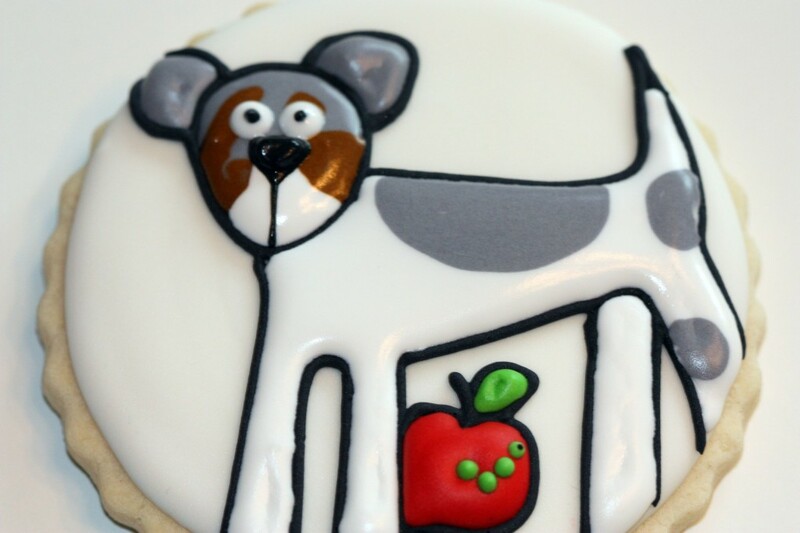 I like to chose images which already have a dark outline because they’re easier to see and trace onto the cookie, however you could just draw dark lines right on your image if it doesn’t already have a distinct outline. How transparent the paper your image is on, also affects how well the image projects. 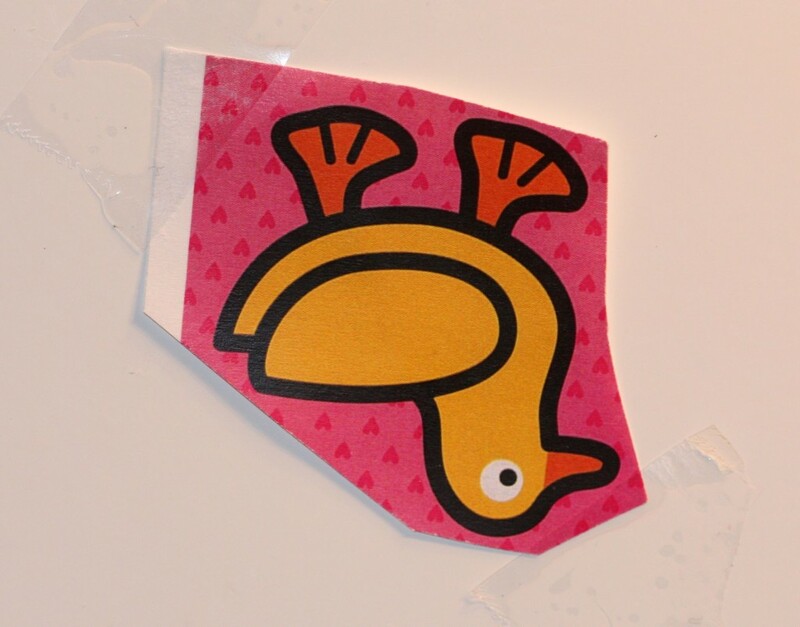 For example, if I’m using a sticker which is printed on a thick paper, I may need to either photocopy or print the image onto thinner paper or even a transparency . The transparency isn’t usually necessary, however I do sometimes choose this option. 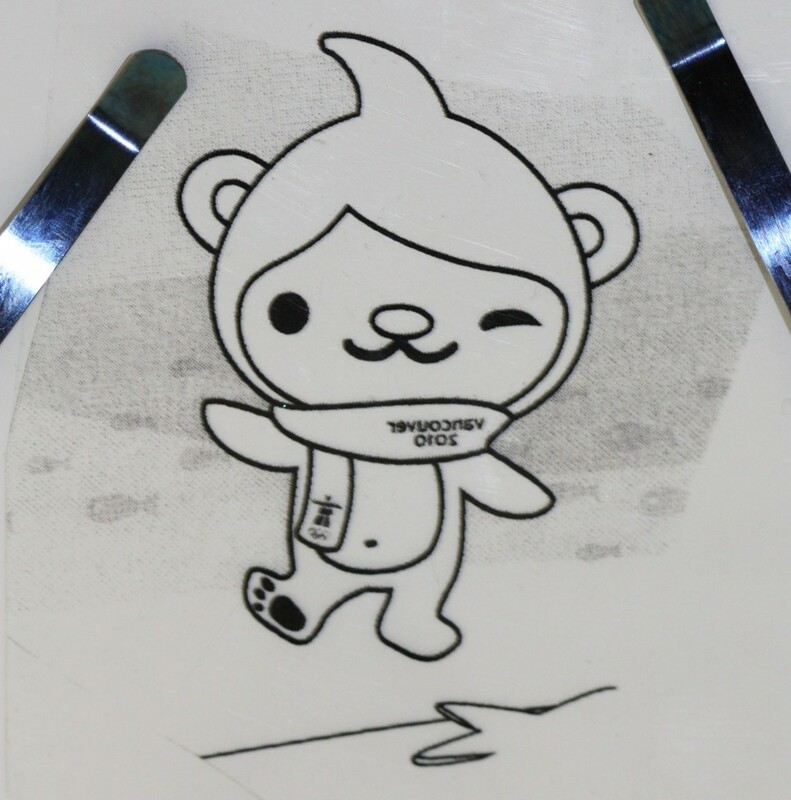 This Olympic mascot was photocopied onto a transparency and put in the projector for my Olympic Cookies. Once you’ve got the image (paper, sticker, transparency etc. ), it’s as simple as inserting it into the Kopykake and projecting it. One point to note; you can buy ‘printable’ transparencies – meaning your printer can print right onto them. You don’t need to trace onto them. Adjust the clarity and size of the image by sliding the projection lens up or down and/or turning it. This projector enlarges up to 400% or reduces up to 70%. I still find that there isn’t a lot of give when it comes to adjusting size and sharpness though. To make sure the image is the size I need it to be, I check to see how large the image will project by putting it into the projector first and adjusting the lens. If the image is still too large or too small I scan the image into my computer and play around with the dimensions (reduce or enlarge), in Photoshop or even Microsoft Word for lettering. I test by printing a copy and inserting it into the projector until I’m happy with the measurements. Another option for image size is to reduce or enlarge the image using a photocopier. If you’re not near the Kopykake to test the image size out, photocopy various sizes to ensure one works. In terms of how much to reduce or enlarge, I experiment and try numerous sizes and just see which ones work. It’s difficult to be specific and say, for example, “Reduce by 25%”, because each image will be different. Another manual way to make your projected image a bit smaller is to bring your cookie closer to the projection lens. Translation; pile a bunch of books on top of the projector stand, lay a piece of parchment paper and your cookie on top. The closer the lens is to the cookie, the smaller the image is. I don’t usually do it this way because I’m used to decorating cookies at table height, not higher up on a pile of books. Overall, playing with the sizes either with a scanner /computer or a photocopier is a little more effort but it has worked for me in the past. Using the reduction lens might make the process easier (information on reduction lens below), however you may still have to play around with image size manually. As images on cookies need to be smaller than on cakes, the reduction lens is an accessory which can be slipped onto the existing projector lens as a way to help project smaller images with both the K1000-G and the 300XK model. The lens which comes with the projectors reduces up to 70% and the reduction lens reduces an additional 50%. To buy one, I find the official Kopykake site more expensive than other sites so recommend searching for the lens on ebay or elsewhere. I don’t use the reduction lens. Again, even for the K1000-G, if I need different image sizes I just play with dimensions either in Photoshop or with a photocopier. An extension tube is essentially a rod which lengthens the height of only the 300XK projector so that your image projects larger. 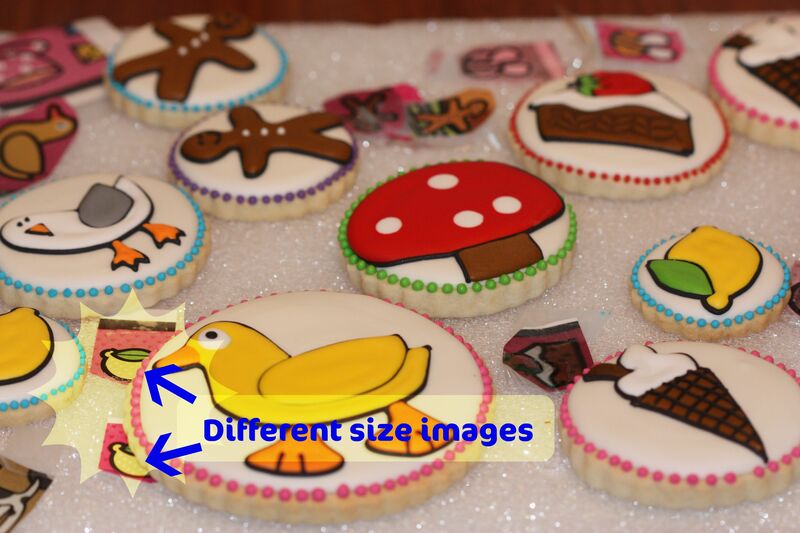 It is not really needed for cookie decorating since those images typically need to be smaller, but it could be useful for larger images on cakes etc. This accessory is not for the K1000-G, as the head of this model can be raised or lowered if you’d like to enlarge images even more, and the lens on this model has more sizing capabilities than the 300XK. I love geometric, fluted or plain edged cookie cutters; especially circles , squares and ovals . All I do is choose the image size I like and then find a cookie cutter which suits that size. 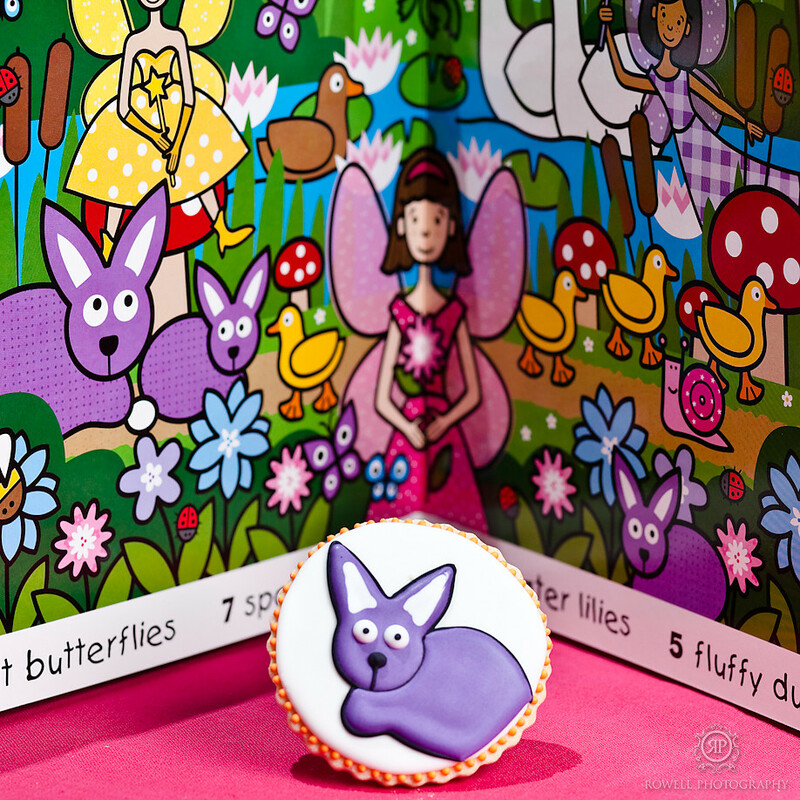 I usually have the luxury of choosing whatever size I like because my cookies are gifts rather than orders, however if you need to make a certain size cookie you just need to play around with the image in photoshop or with a photocopier. Instead of using geometric cookies cutters you could also just project the image, lay your cold dough (on parchment) underneath the projected design and use a pizza wheel to cut out your customized shape. See these Halloween cookies for customized shape examples. Another option is to project the image onto white paper, draw the outline you like, cut that shape out, place it onto your dough and use the pizza wheel to cut out the cookie shape. 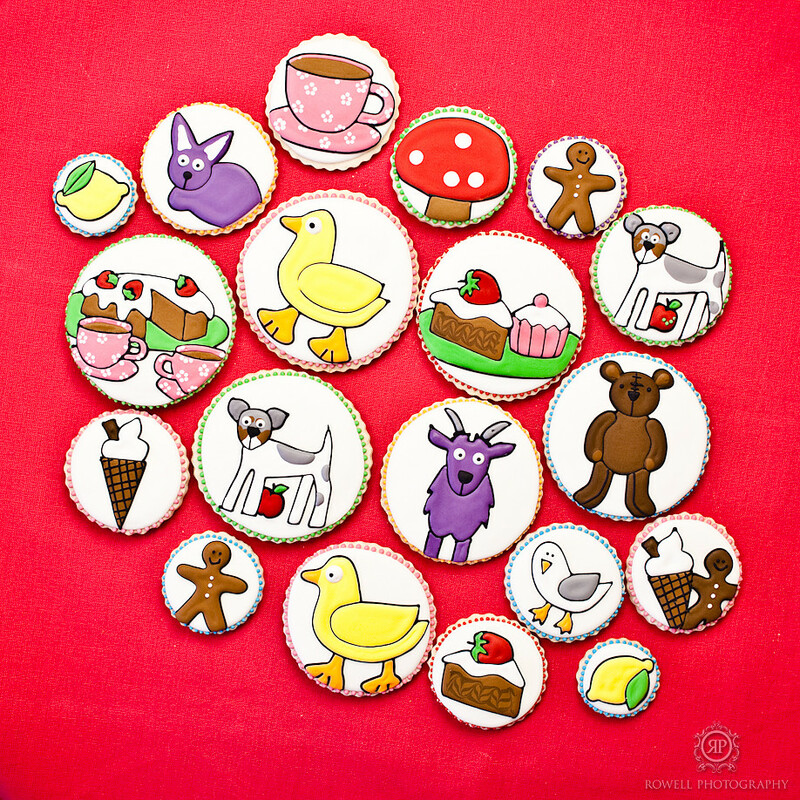 Do you project one cookie at a time? Yes, I project on one cookie at a time and pipe one cookie at a time. Since I’m not worrying about freehand drawing, the process goes quickly. Do your images get warped from the heat of the projector lamp? If the images are on paper, no. If I use a sticker, yes, it gets somewhat warm even though the K1000-G has a 40cfm fan. (As does the 300XK). The sticker doesn’t warp enough to ruin it or make it ‘unprojectable’, however you can see some slight bending. If you’re using an actual photo, I would recommend using a copy of the photo in the projector in case of heat damage. What kind of light bulb do you buy when one burns out? The projectors take true color, color corrected 250W bulbs, which you can find in any photography store. I have used a 150W household bulb in a pinch though. It isn’t as bright but still works! 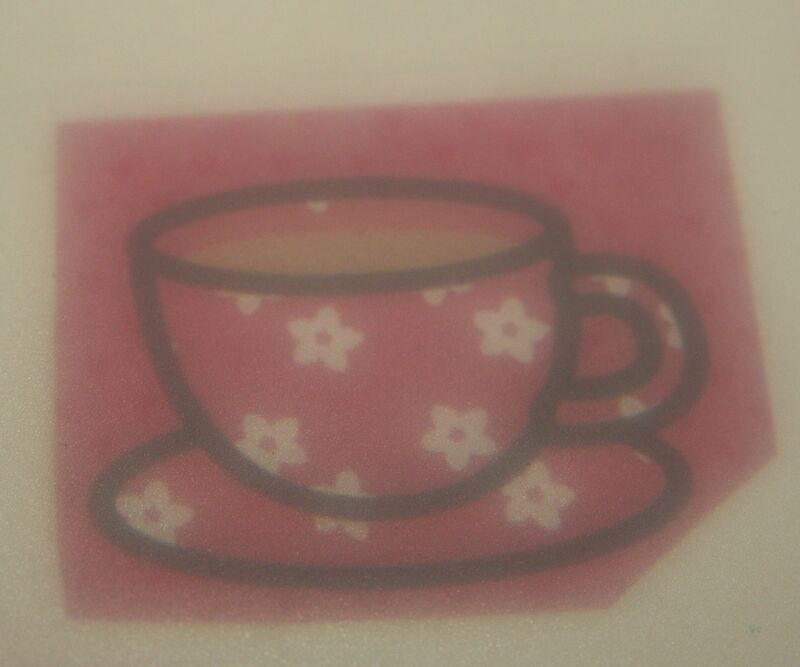 Do I trace the image from the original onto transparency material and then project the transparency image on to the cookie? You don’t need to use a transparency if the image you’re using is on thin paper. The Kopykake can then project the image no problem. If however, your image is on very thick paper, the Kopykake won’t project the image as well. That’s when I scan or photocopy the image onto a transparency paper or regular white paper. 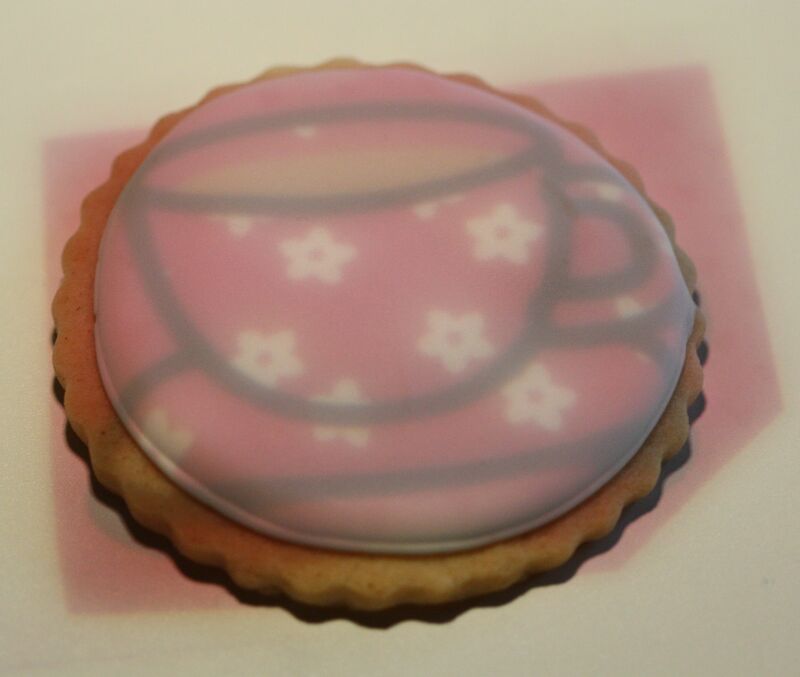 I then stick that paper into the projector and it projects the image downwards onto my cookie. If you don’t have access to a scanner or photocopier, you could trace your image onto the transparency or paper. Does your hand’s shadow get in the way while you’re piping? You can’t completely avoid the overlapping of your hand or piping tip and the shadow at some points while you’re tracing the image; there a few seconds where my piping tip’s shadow is right over the line I’m trying to trace. I find that following the flow that my piping/my hand is already going and guiding it towards the part of the image that you can see, helps me bridge that gap. Also try compensating by changing the angle of your hand. There might be a few seconds of ‘blockage’ but it’s doable in terms of judging where to pipe because your hand is already ‘on the way’, if you know what I mean. Basically, keep your eye on the line you can see and trust your hand to follow the direction it’s already going. It’s not as complicated as it may sound, but if you’re concerned about shadows, the K1000-G model has a tilting projector head which may help alleviate the shadows getting in the way a bit while you’re piping. I never bother to angle mine as I just do what I’ve explained above. 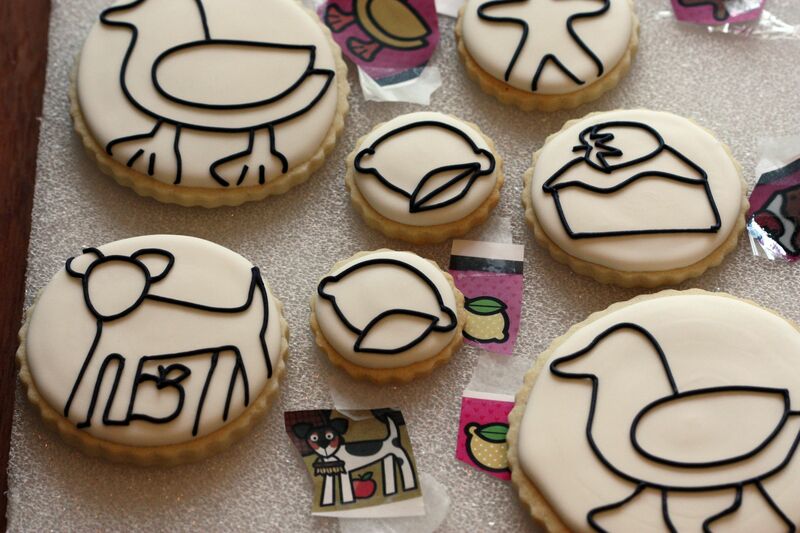 Do you trace the image using an edible ink pen or do you use icing to draw the image outline? 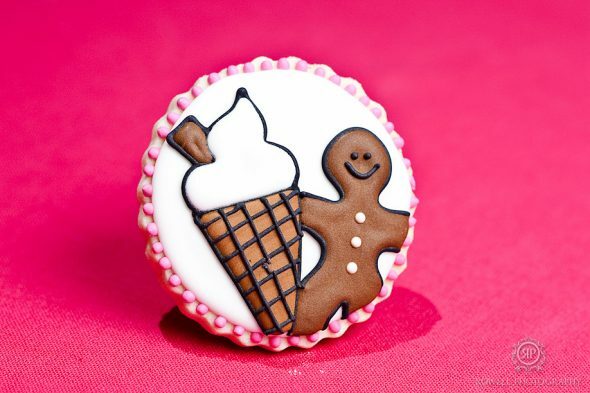 I use icing to trace right onto the cookie, as using a food decorating pen would be an extra step and more time consuming, however it is a great idea if you have difficulty with the shadows. 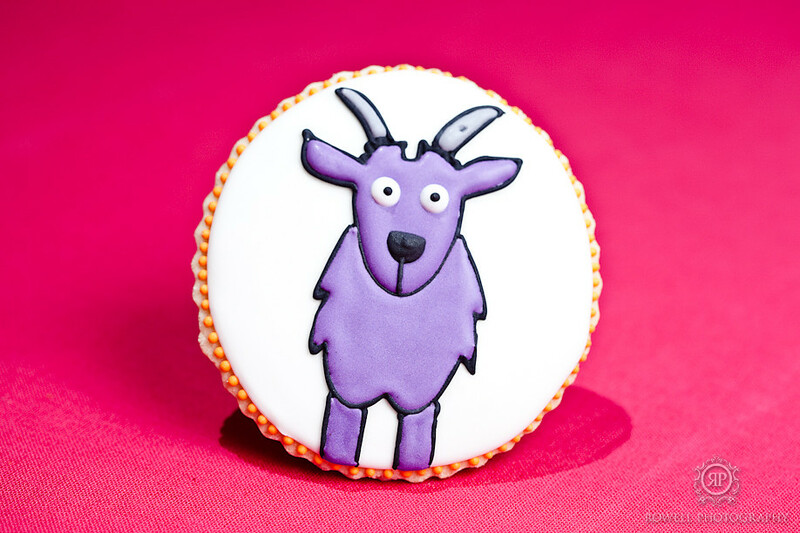 You’d have more time to draw the image right onto the cookie. Are there any other options to help with drawing besides using the Kopykake projector? Involves putting your image under parchment or a transparency paper and tracing/piping right onto the paper. Smearing a tiny bit of shortening onto the parchment or transparency will help the transfer come off with more ease. 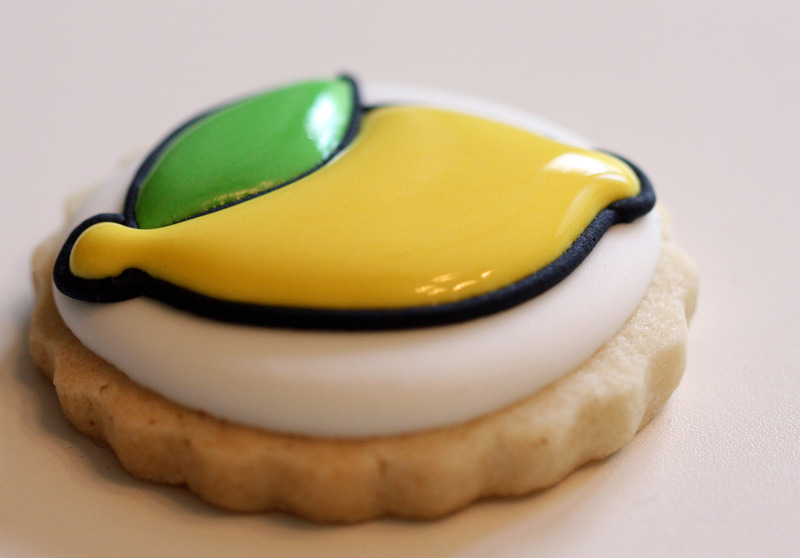 When the icing dries, carefully peel it off and adhere it to your cookie (with small dabs of royal icing). Once you’ve got your base coat of icing you can not trace the details of the image. 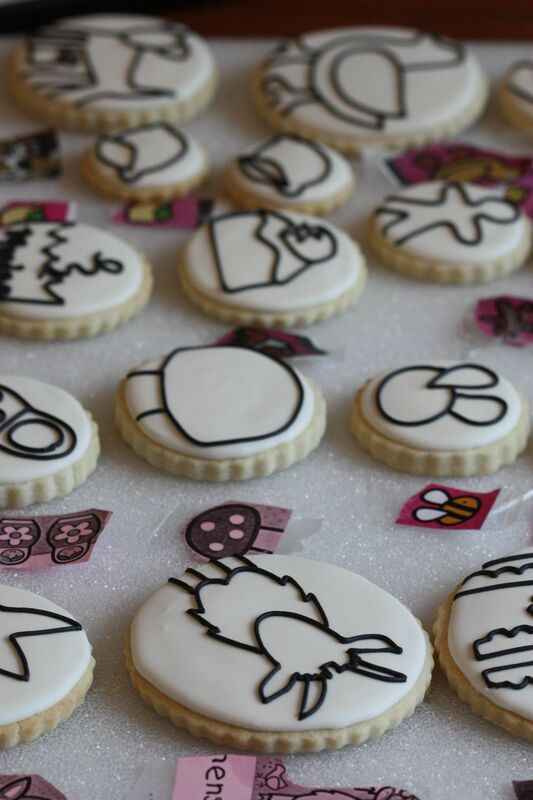 For example, if you were tracing these owl cookies you would not be able to trace the eyes etc. once the brown base coat was done. Take the image, lay it on the cookie and, using a pin, poke little dots through the paper into your cookie, to create an outline. Page 57 of the book Planet Cake , goes over how to trace letters onto a cake. 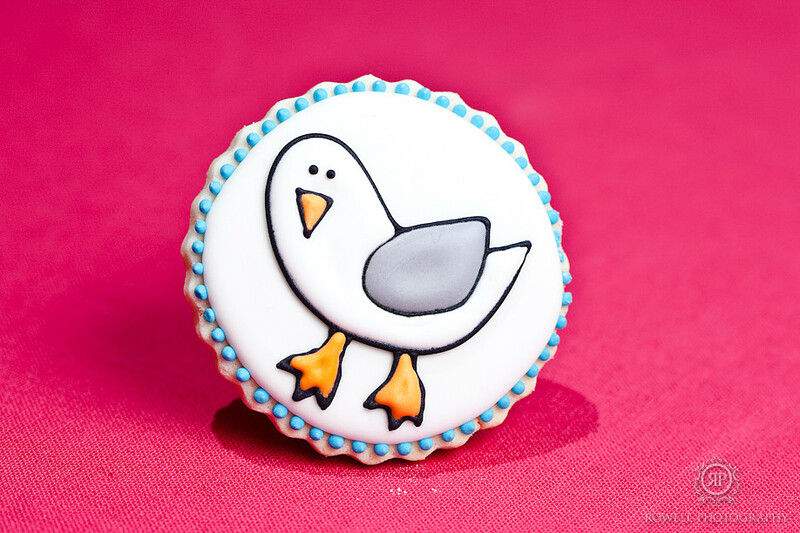 You could follow the same process for uncomplicated images onto cookies. Roughly based on ‘Tracing Letters’ in Planet Cake; trace the image with 2B pencil onto parchment paper, turn the parchment over and trace the back of the same image. Place the parchment right side up onto the cookie. Lightly shade the parchment paper with the 2B pencil, so that an impression is left on the cookie. I would recommend trying this method with an food decorator marker . Would you / do you use stencils or does having the Kopykake eliminate the need for them? Using a stencil does have a different, flatter look. It doesn’t always turn out perfectly because the icing sometimes creeps under the stencil hole and smudges. You would also need a stencil for every shape you’re doing. On the positive side, the stencils can be used over and over, it is quick, fairly easy and when done correctly does look pretty. (Sorry no pics, I rarely use stencils). Where did you buy your Kopykake projector? Which Kopykake projector model should I buy? There are a two KopyKake projector models suitable for cookie and cake decorating. They are the K1000-G and the 300XK. I have the K1000-G at home but have also used the 300XK model at work. The following overview of both projectors should help you get a better idea of which one meets your needs best. Has two, 250W bulbs which help project your image brightly so that you don’t need work in a dark room. It was actually designed for commercial use (i.e. In a bakery where turning out the lights wouldn’t be practical). You can adjust image size and clarity more than the 300XK with the projector lens. K1000-G enlarges up to 400% or reduces up to 70%. Using a computer program, photocopier or the reduction lens accessory can also be added to further reduce image dimensions. The head of the projector can be raised or lowered if you’d like to enlarge images even more. The head of the projector can be angled left or right to help reduce shadows while decorating. (Or even to project on the wall for other uses). More expensive than the 300XK. Same mirror and lens as K1000-G, however only has one 250W bulb. Works fine if you can and don’t mind turning off the background lights though. (A dimly lit part of the room works as well). Less sizing and clarity options than the K1000-G; 300XK enlarges up to 300% or reduces up to 70%. Sizing images can be done with a computer program, photocopier or by using the reduction lens accessory though. 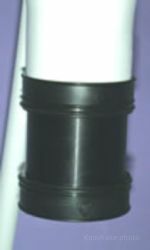 Extension tube to extend lenth of projector ‘neck’ can be purchased if you’d like to enlarge images. I love using the Kopykake projector as I’m not a skilled artist, so it takes the worry and frustration out of drawing. 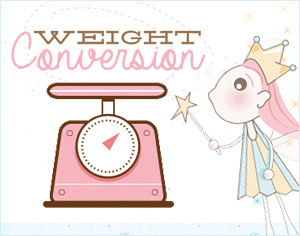 I definitely wouldn’t have the same cookie results without it! If it’s worth it for you; I really can’t say. It’s a matter of personal opinion. Do you need help in the drawing department? Are you a good artist but would like to speed the process up? If your answer is yes to either of the latter questions you’ll probably like the projector. I hope you’ve enjoyed my tutorial. Please feel free to drop me a line or ask a question in the comment section – I love hearing your input! Your welcome, @ Jennifer: hope you’re having fun using it! Thank you, @ debbie tunnell, @ Donna and @ Anita Rao! @ falencia: I usually resize my images one of the ways mentioned in the post above, and haven’t tried the reduction lens yet, but funny enough, Kopykake is sending me it to try out. It’ll be arriving in the next few weeks. So I’ve been debating for a while on spending the money on a projector. I’m not a professional decorator, I just love making cookies for any occasion and giving them as gifts so I had a hard time justifying it. My husband is an engineer and decided to take on the challenge of building a projector for me. He did it in one day and the total cost was $10 and about 2 hours of trial and error I used it this weekend for logo cookies I made and it worked great! 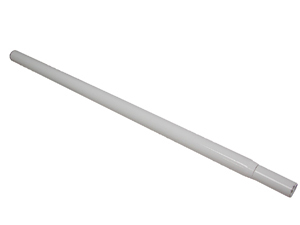 apparently there is now an iPad app that will actually do the same thing as this device and is only $4.99. Read about it here http://www.klickitatstreet.com/2013/03/how-to-draw-on-cookie-with-ipad.html?m=1. Haven’t used the app myself but dying to do so. thanks for this great overview of alternatives to a Kopykake projector, and your helpful & wonderful website in general :-)! 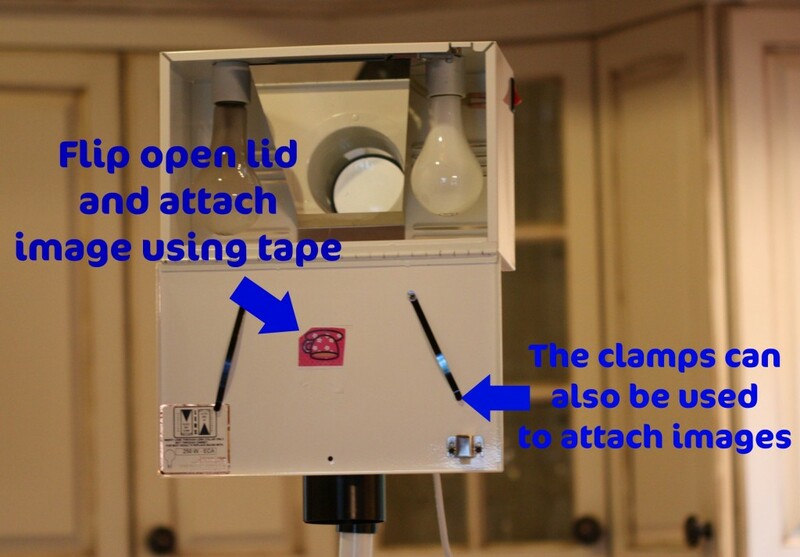 Information on how to use the DIY drawing projector will follow soon. Have thought if “hanging” it somehow. I absolutely love how informative this is! There is another option though, and I would love to see a review with comparison to the KopyKate. If you have an IPad 2 or newer, the app Camera Lucida can be purchased for $4.99 and can be used in a similar way. The app allows you to bring up a photo, and by using the camera on the back of the IPad, lets you view the photo and any object in view of the camera at the same time. You can adjust the image to any size, and trace onto virtually anything. So going to get this for Christmas! I would like to know if the Kapykake projector is applicable on cakes? Where can I purchase this item? This is the best article on the web for finding out what projector you’d like. I won’t be using this to decorate cookies and cakes but I DEFINITELY will use this for art. Thanks for taking the time to write this! impressive educational paragraph here at my home. About a year ago I bought the projector on ebay from a gentleman for $50. I bought the base a week later, I haven’t used it once. I just came across this post by chance. I’m going to give it a try. Thank you so much for all the information you provided. i live in hong kong ,ilike to buy this projeter300x,so how can i order it? pls can i know if you deliver to mantreal ? and how much does it cost?